Customize your cooking with FlexCook™. 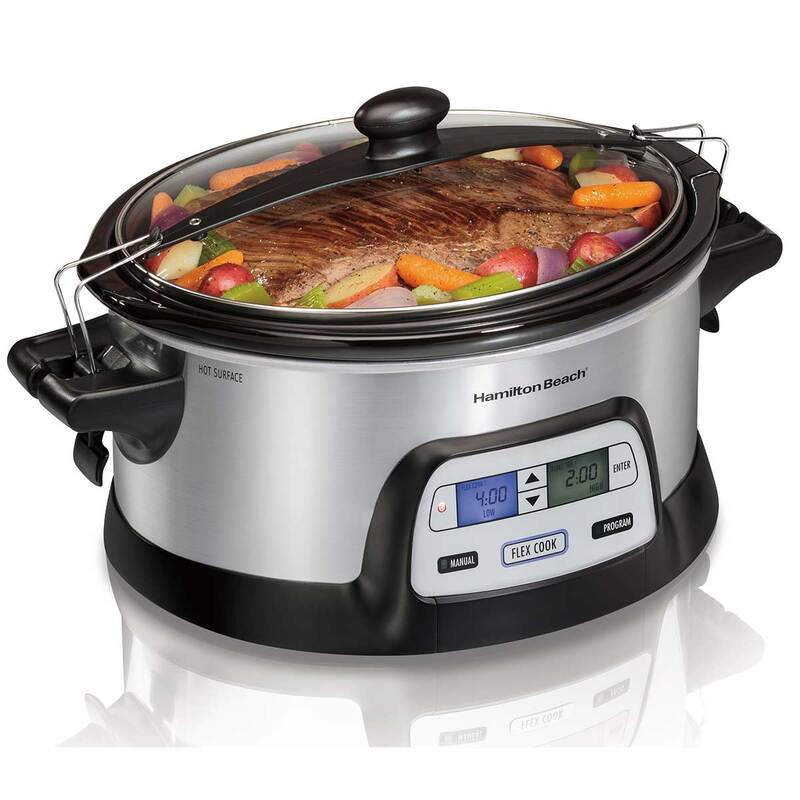 Finally, a slow cooker that lets you program timing and heat setting to fit your schedule and your cooking style. 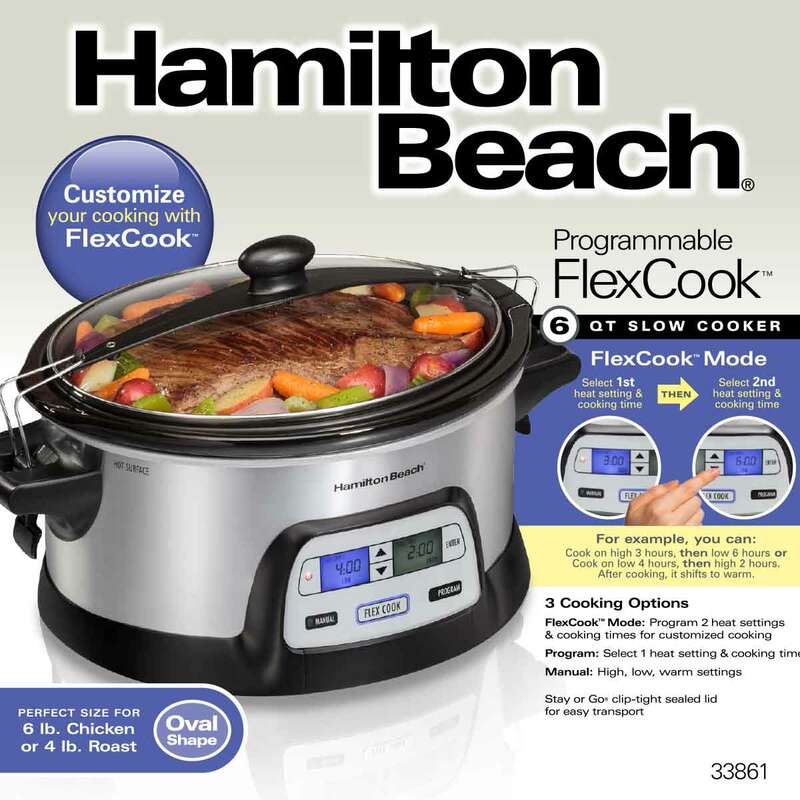 With the FlexCook™ Slow Cooker from Hamilton Beach®, you can program two different heat settings and time durations in one cooking cycle, giving you greater flexibiltiy in cooking your favorite recipes. For example, you can cook on high three hours, then low for six hours, or cook on low for four hours, then high for two. Perfer to keep it simple? The FlexCook™ also offers a program mode for one heat setting and cooking time. 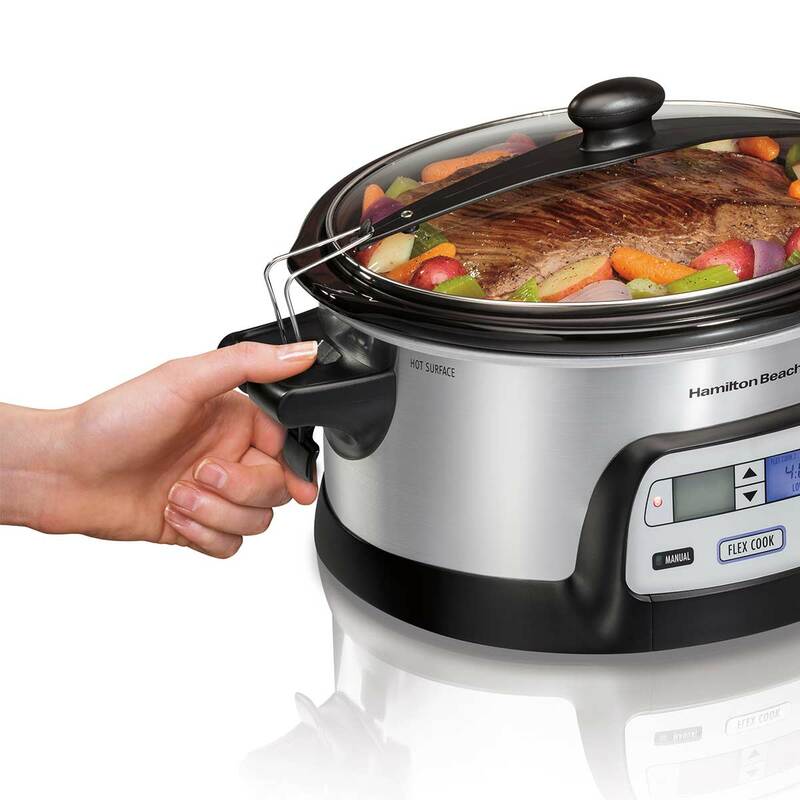 The slow cooker automatically switches to warm when cooking time ends. There’s also a manual mode, where you can select high, low or warm with no timer. And with Stay or Go® clips that lock onto the slow cooker and seal the lid, you can enjoy worry-free travel. Both the lid and crock remove easily and go into the dishwasher for cleanup. 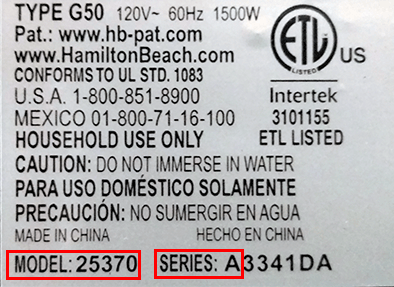 Press the FlexCook™ button then use the easy to ready digital display to choose high or low heat. Next, select the amount of time you want it to cook for at that temperature. Use the other keypad to program your second heat setting and cooking time. Then press enter. During cooking, each screen will show the temperature setting and remaining cooking time. Once your second cooking time is up, the slow cooker will automatically switch to warm – keeping your food hot until you’re ready to serve. In addition to the FlexCook™ setting, you can also choose the Program mode for setting a single temperature and time. Once your programmed time is up, the cooker will automatically switch to warm. Want to control the heat on your own? Use Manual to select the traditional warm, low or high settings with no time limit. Keep your food in the crock, and not on your car floor, with the innovative Stay or Go® lid lock – once clipped into place, the locked lid creates a seal that prevents spills and leaks. The full-grip handles make carrying the slow cooker simple.